Bollom Intulac Ultra Topcoat delivers excellent clear fire protection to wood and timber. Bollom Intulac Ultra Topcoat (Satin or Matt) is applied over Bollom Intulac Ultra Basecoat to provide a Class 0 fire rated protective/ decorative clear varnish system for interior wood. It is easy to apply and ideal for use in communal areas. The Bollom Intulac Ultra Varnish system provides a high performance fire protection coating system for interior wood surfaces. It comprises a clear, intumescent base coat designed to form a protective carbon char in the event of fire, delaying the inflammation of the wood – and a clear, protective top coat (available in Matt and Satin finishes). Intulac Ultra Base Coat is designed to form a protective carbon char in the event of fire, delaying the inflammation of the wood. It reduces ignitability of soft and hard wood and other wood derivatives I.e. plywood, chipboard, fibre insulation board, hard board and also on veneering ≥ 12mm thickness. It also insulates against heat, checks fire, prevents propagation of fire and diminishes flue-gas density and flue-gas temperature. NB: Bollom Intulac Ultra Basecoat must be overcoated with Bollom Intulac Ultra Topcoat after 48 hours and not more than 4 days. It is important to speak to our Technical Department and refer to the product data sheet prior to using this product to ensure the correct specification has been chosen for your surface. Protects and highlights the natural beauty of the wood - ideal for timber in communal areas. For interior use only. Not suitable for surfaces exposed to mechanical stress, such as floors, doors, stairs etc. and dry, free from dust, oil, wax, grease and release agents. Apply two coats of Bollom Intulac Ultra Basecoat to a coverage rate of 5m² per litre, per coat (this means a 5lt tin will cover a total of 12.5m² after the two coats). The Intulac Ultra system requires the application of both the Intumescent Base Coat and Protective Top Coat. The Intulac Ultra Basecoat must be left a minimum of 48 hours and max of 4 days prior to applying the Intulac Ultra Topcoat. Apply 1 coat of Bollom Intulac Ultra Topcoat at 25m² per litre (this means a 500ml tin will cover a total of 12.5m²). 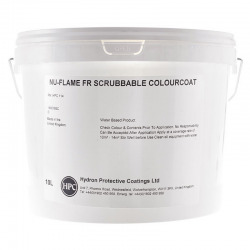 The Bollom Intulac Ultra range has been made with the professional painter and decorator in mind and all products are easy to apply and have been fire tested to BS 476 Parts 6, 7. 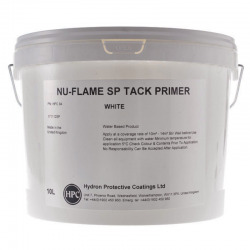 Can this paint be used on Accoya timber? i need to make an Accoya staircase fire rated. Bollom haven’t carried out any specific tests, however they don't envisage a problem using the Intulac Ultra system on Accoya (provided it is not for use on the stair treads themselves). Usual criteria would apply - i.e. minimum thickness of the timber 12mm, 3 coat system (2 coats of Bollom Intulac Ultra Basecoat at 5m² per litre/per coat followed by 1 coat of Bollom Intulac Ultra Topcoat at 25m² per litre) to give a Class 0 rated system. Accoya do have a UK office, so it may be worth contacting them (0207 7244300) if in doubt. The Intulac Ultra Basecoat is water based, so you could check this will be OK with the technical department at Accoya. Is there a fire retardant product that would cover already painted surface. Paints are acrylic on plywood? 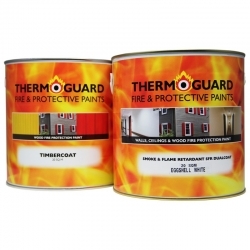 Clear fire retardant systems can't be applied over previously painted surfaces. Something like the Bollom Intulac Ultra system can be applied over existing stains and varnishes but not opaque paints. 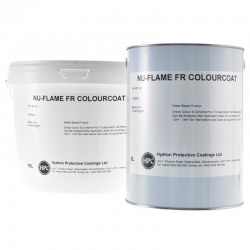 To upgrade previously painted surfaces you should use Bollom Broflame Ultra Basecoat followed by one of the compatible Bollom Flameguard Ultra Topcoats in the colour and finish of your choice. 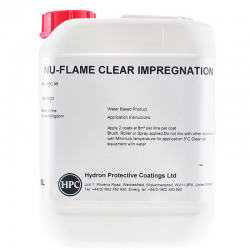 Your description gives the Intulac Ultra as providing Class-O protection against spread of flame. 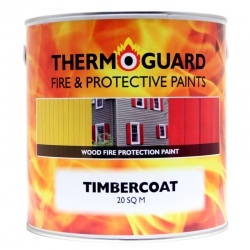 We are looking to provide a clear finish with 60 minute resistance to structural timbers in the event of a fire. Please can you confirm if your system will achieve this? Kind regards, Ted Bhogal Design Manager - Ardmore Construction Ltd. The Bollom Intulac Ultra system achieves BS Class 0 on timber substrates but not 30 or 60 minute protection - See instead Thermoguard Fire Varnish 30 & 60 Minute System. Question: hi just wondered if this will give any timber/MDF & veneers a class o rating?? The Intulac system (Intulac Ultra Base Coat + Intulac Ultra Topcoat) is designed to form a protective carbon char in the event of fire, delaying the inflammation of the wood. It reduces ignitability of soft and hard wood and other wood derivatives I.e. plywood, chipboard, fibre insulation board, hard board and also on veneering (less than or equal to 12mm thick). It also insulates against heat, checks fire, prevents propagation of fire and diminishes flue-gas density and flue-gas temperature. The Simple 3 coat system achieves Class 0. Question: Hello, I was wondering if this product would work on top of osmo oil? No, we're unable to offer any system that can be used over wood oils.